Insurance companies sell different types of insurance, some of them being really bizarre ones. 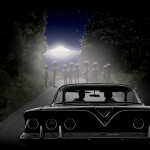 Of all the insurances that are being sold, the alien abduction insurance is also one of the most popular insurance that is being sold and bought by people of many regions and countries. If you think that you would never need any such weird insurance for yourself or your family members, you ought to think over it once again. 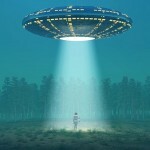 Here are some reasons why you would need the alien abduction insurance. In the unfortunate event of an alien abduction, the federal government will not take any responsibility of the abductees or their families. It is hence better to be insured so that at least there is someone who can look after the abductees’ family. If you are being impregnated after being abducted, there is an insurance policy to guard against that as well. The policy for alien impregnation can be taken by men as well, as going by the believed technological standards of the aliens they can make men pregnant as well. Many times abductees after returning are found to be ailing with a number of medical conditions. The insurance policy would cover all the outpatient medical expenses if you can prove extraterrestrial being’s involvement in the abduction. 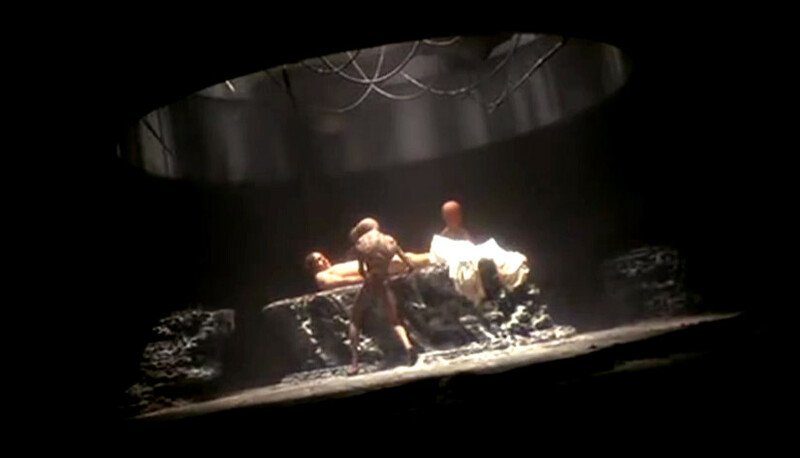 After being abducted by aliens most abductees are found to be disoriented for quite some time and they are unable to focus on their work or job. As sources of income dry out for them, an insurance claim payout would take care of the money at least. 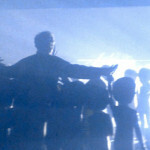 The alien abduction insurance covers the expenses of probes and implants removals as we well. 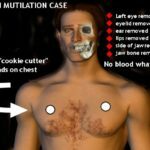 Most alien abductees report mysterious implants in their bodies which need huge money to be removed. Insurance against alien abductions are available at pretty low prices with the lowest one at $9.95 only. You would certainly not mind paying that much to protect your family’s future, should you every get abducted by aliens, never to return again. 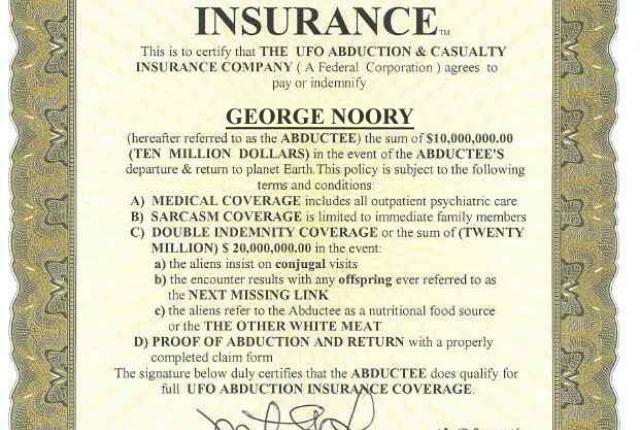 Usually against a premium cost of $155, the alien abduction insurance policy pays out a whopping $160,000 if you can prove to the insurance guys that you had been abducted by beings from the outer world. 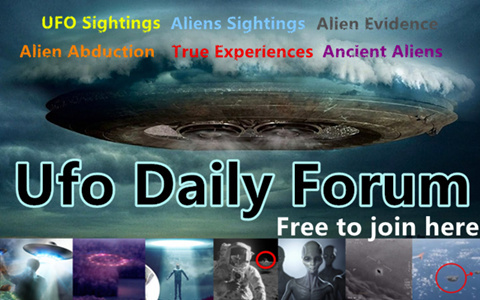 The payout amount if doubled if you can prove that the alien abduction has caused impregnation and it is the aliens to be blamed for impregnating the abductees. Many insurance companies also provide guidebooks that educate people about how to avoid getting abducted by aliens. If you are not too adventurous by nature you may want to get yourself insured and laid your hands on such a guidebook, so that you do not have to face the experience of getting abducted by aliens. 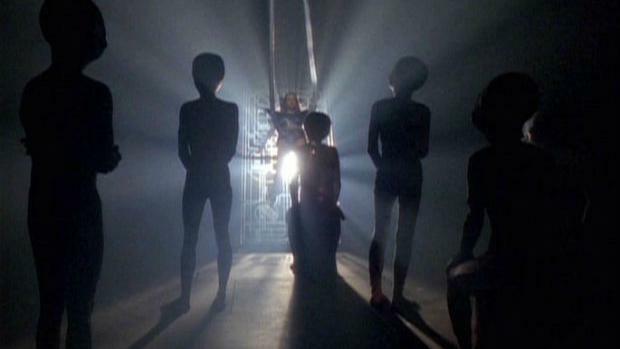 Most importantly, alien abduction insurance would give you the mental peace that no matter what you are subjected to while you are being abducted, a lump sum amount of money awaits your arrival back on earth. 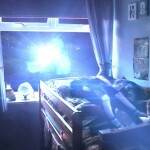 There are different types of alien abduction insurances available in the market, which are being bought by as many as 35,000 people and the number is increasing day by day.